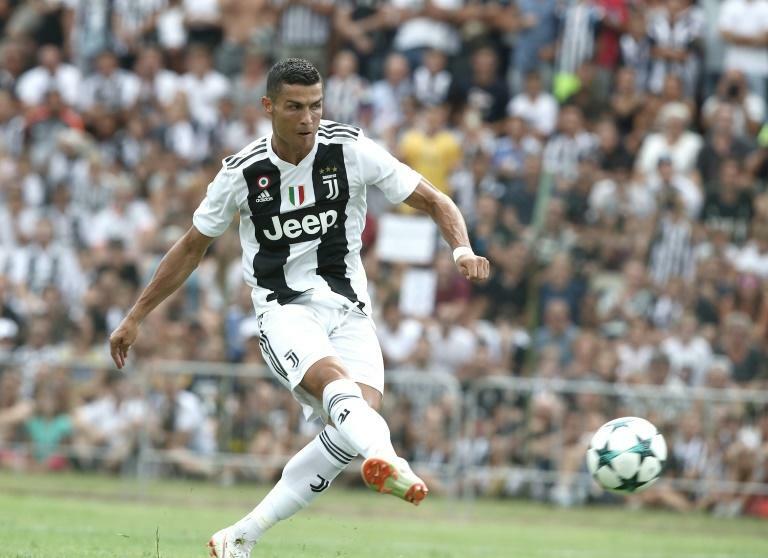 Cristiano Ronaldo's move to Juventus has injected an air of expectation into the Italian championship not felt in decades while spending has smashed the one billion euro mark with more than a day still to go before the transfer window closes. Champions Juventus top the spree with 235 million euros ($265 million) invested in new players -- more than double rivals AS Roma and Napoli -- as for the second straight year Serie A are the only one of the top five European leagues to keep pace with the big-spending English Premier League. With the transfer window slamming shut in Italy at 19:00 GMT on Friday, Serie A teams have time to overtake the 1.037 billion euros spent last summer. Here AFP Sport picks out six new signings to watch in the coming campaign. -- Reigning seven-time Italian champions Juventus had the biggest scoop of the summer in five-time Ballon d'Or winner Ronaldo, who arrived from European champions Real Madrid in a shock 100 million euro ($117 million) deal. Massimiliano Allegri's side are counting on the evergreen Portuguese superstar to help win the Champions League. Ronaldo has been the bogey man in Europe for Juventus in recent years, scoring 10 in seven games against the Serie A side for Real Madrid as the Spaniards romped to three straight Champions League titles. Ronaldo has thwarted Juve's attempts to bag their first Champions League since 1996 in both of the last two seasons, earning a standing ovation from the Turin crowd for his superb overhead bicycle kick last season and scoring a brace in the 2017 final as Madrid thumped the Italians 4-1. -- Argentine international striker Higuain scored 40 goals in two seasons at Juventus, but with the arrival of Ronaldo has opted to head for rivals AC Milan on a one-year loan deal worth a reported 18 million euros ($21 million) that gives the Serie A club the option to buy the striker next summer for a further 36 million euros. Higuain's arrival has revived enthusiasm around Milan after a troubled period marked by on-pitch embarrassment and financial woes. Last season they scored just 56 league goals as they finished sixth despite spending over 200 million euros ($233 million) on new players. This season they have spent a more modest 81 million euros so far. -- Italy international defender Bonucci went back to Turin, where he previously won six Serie A titles and played in both of their lost European finals, after just one underwhelming season at Milan. The 31-year-old admitted that he left Juve in a fit of pique after falling out with Allegri in 2017, but "missed home" and wanted to return after burying the hatchet with the coach. -- The Italian international forward was one of Carlo Ancelotti's first signings as Napoli coach coming in for 23 million euros despite the Serie A runners-up trailing behind their rivals in the transfer market spending. A versatile player Verdi scored ten goals last season for Bologna who he joined after Carpi were relegated in 2016, having also previous played for Torino and his boyhood club AC Milan. -- Argentinian attacking midfielder Pastore returned to Italy on a 24.7-million-euro ($28.8 million) deal. The 29-year-old previously played in Serie A with Palermo from 2009-11 and was named the league's young player of the season in 2010. The gifted playmaker was the first major signing PSG made in 2011 after being taken over by their Qatari owners. Pastore's move back to Italy comes with Paris Saint-Germain under pressure from UEFA to balance their books after signing Neymar and Kylian Mbappe in blockbuster deals last season, sparking an audit of their financial affairs. -- The controversial Belgium international, looking for a new challenge after being snubbed for the World Cup, links up again with former Roma coach Luciano Spalletti, as Inter look to improve on a fourth-place in Serie A and compete in the Champions League for the first time since 2011-12. "I think I had my best season under Spalletti and I hope to do just as well here," said Nainggolan who arrives on a four-year contract worth 38 million euros. "I hope we can do well both in Serie A and the Champions League because Inter have a proud history. Hopefully we'll get back to those heights again now."